We’re having some work done on our driveway at Doright Manor. Tree roots had mangled the drive causing it to crack and heave as if an earthquake had struck. The guys began work early this morning and are just now getting ready to add texture to the new concrete so it’ll match the concrete around it. Studly just laughed, saying, “Touchy, aren’t you?” But he did leave my beer alone, thank you very much! Can’t believe he considered giving my beer away. Poor little guy’s living quarters have been disrupted! Apparently he’d patrolled the worksite off and on all morning, much to the chagrin of a couple of workers. I might let the snake have a sip of Guinness to compensate him for his loss. Cheers! Author nananoyzPosted on April 4, 2019 April 4, 2019 Categories CommentaryTags beer, blog, blogging, Doright Manor, Guinness, humor, snake, Studly Doright21 Comments on Not My Guinness! I promise these Guinness bottle caps have been collected over many, many weeks, not a matter of a few days. There are 23, plus eight to compensate for two frivolous purchases I made on Thursday. These bottle caps have been taking up space in a kitchen drawer and will be forwarded to Studly Doright’s youngest sister, the beautiful and witty Amy, in Texas. Amy is a creative soul who will turn these Guinness caps into a work of art. Of course, some would argue, they already are a work of art. And the Guinness? Sublime. If you&apos;re new to my blog you might&apos;ve missed some of my greatest moments in Ireland. Studly Doright and I embarked on an eight day trip to the Emerald Isle with a group of golfing friends, and I became enamored of the beer. Yes, while Studly was sinking putts, I was downing pints. 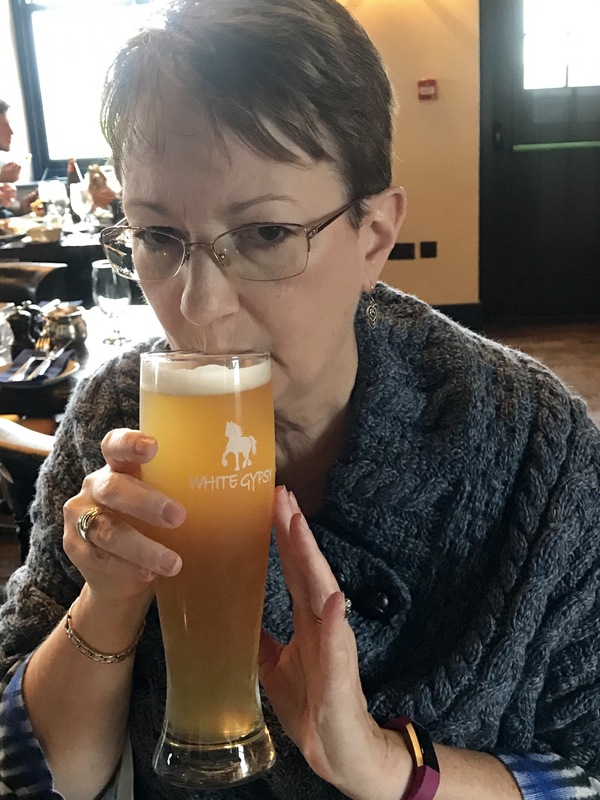 I kicked off the beer tour quite by accident. We&apos;d landed in Shannon around 8 a.m. their time. After going through customs and collecting our luggage we met up with members of our group and met our driver, Paul. We had a bit of a drive to our hotel in Killarney, but still arrived before our hotel had rooms ready. 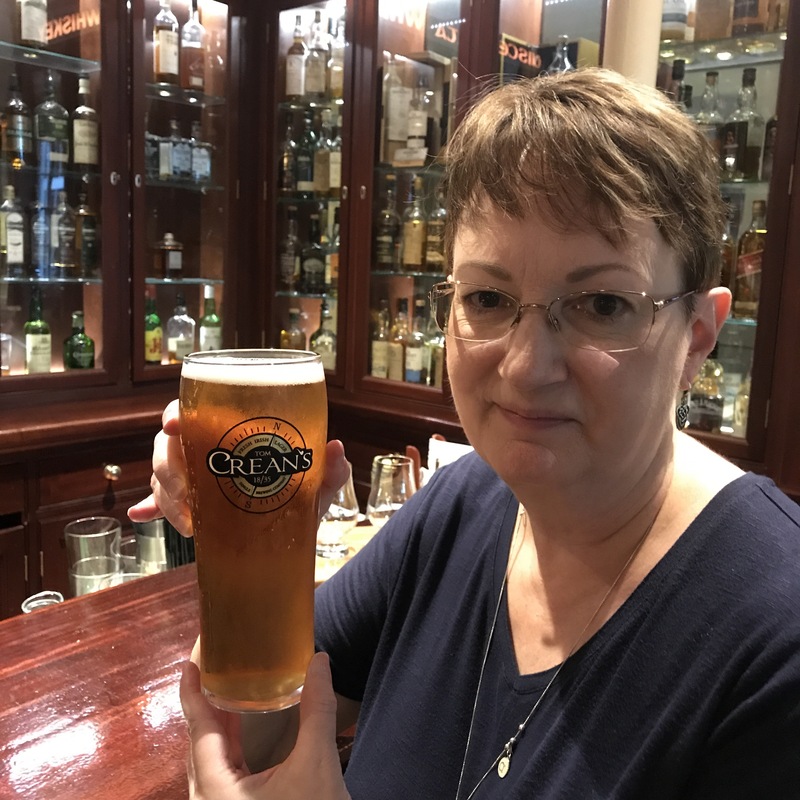 As Paul drove us through his home town of Killarney he pointed out several pubs where we might wile away the hours before checking into the hotel. One pub was very near the Malton Hotel, so several of us left our luggage with the concierge and walked a couple of blocks in search of a pint. 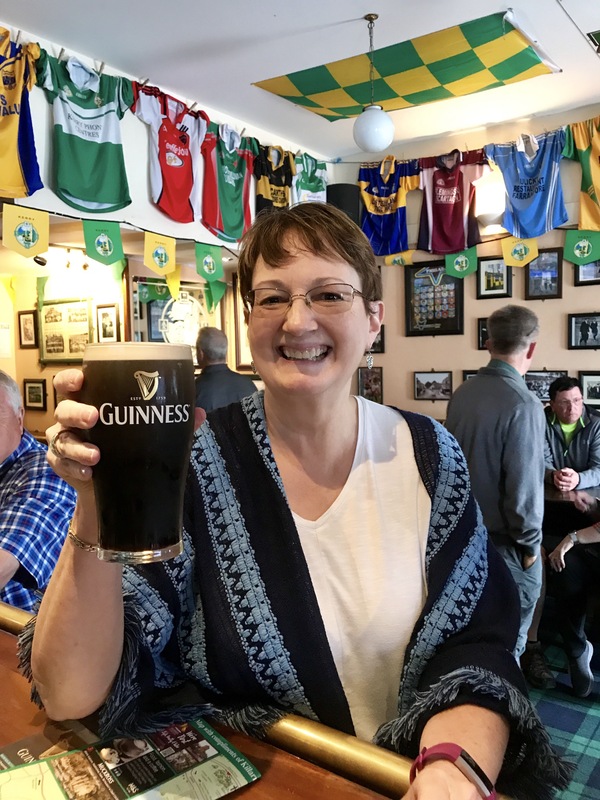 Of course I had to have a Guinness and when the barkeep offered to take my picture I proudly held up my glass for posterity&apos;s sake. Some women are born to greatness, others have greatness thrust upon them, and then there&apos;s me. 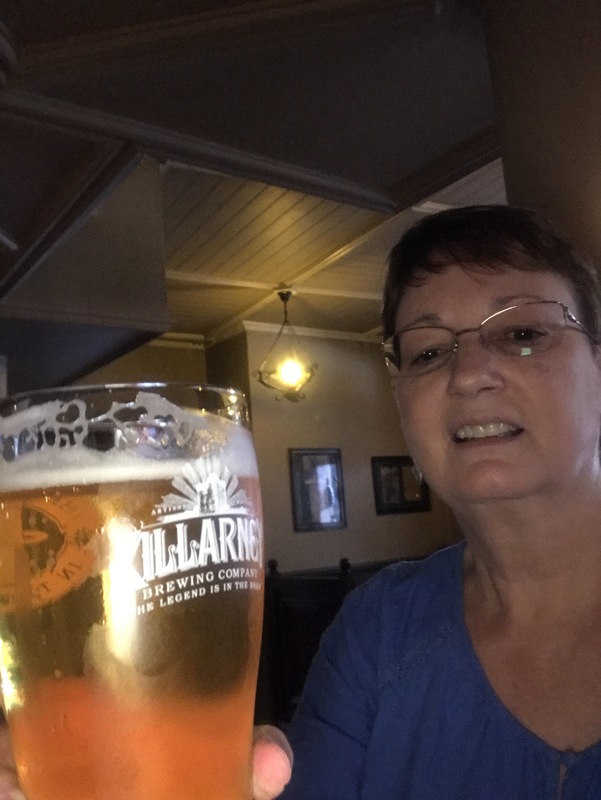 On day two of our trip I asked about local brews, and as it happened the pub we stopped at after touring Muckross House had a local pilsner from Killarney Brewing Company. 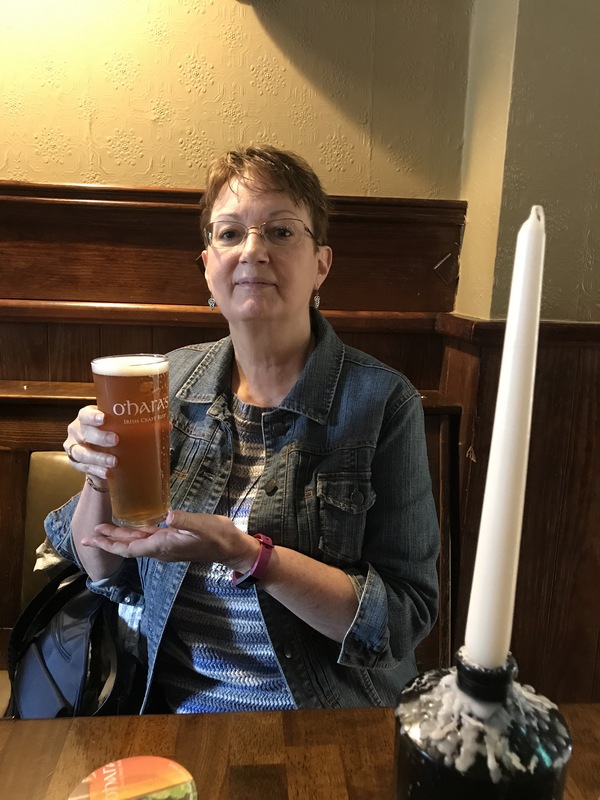 One of the ladies I was with suggested that we take a photo of me and this lovely beer, and someone (maybe me) suggested I go for a different beer a day. I eagerly accepted the challenge. 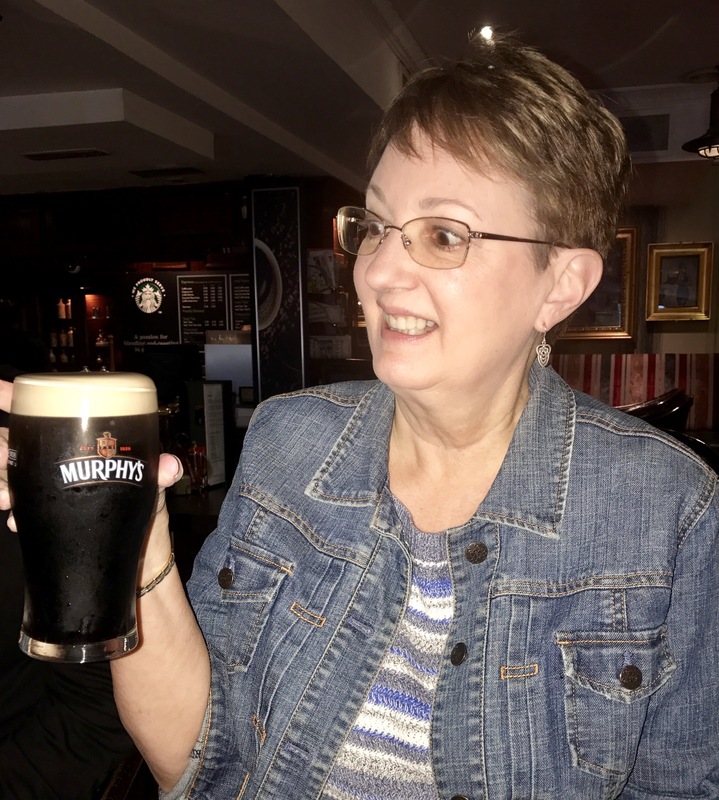 My day three beer was a Murphy&apos;s, and I have developed a genuine affection for this beer. 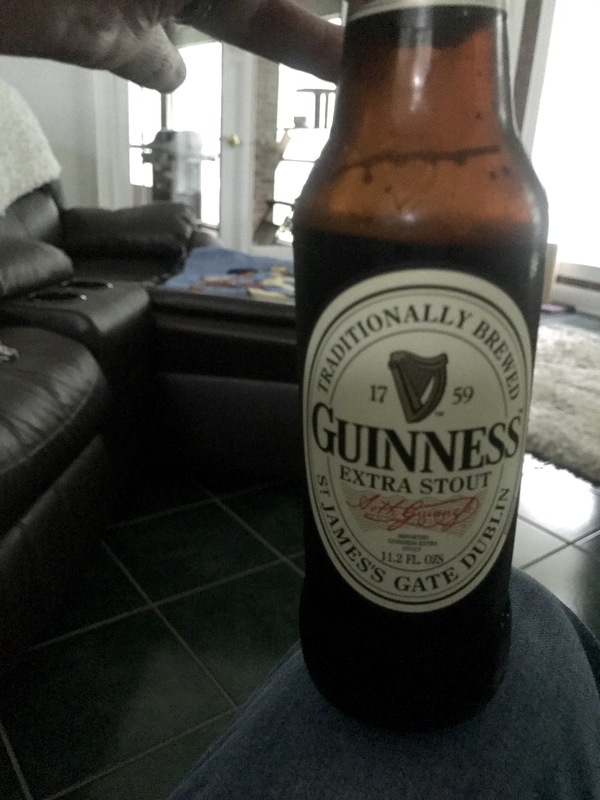 It&apos;s got a sweetness to it that Guinness doesn&apos;t have, and while it isn&apos;t carried in any of my local grocery stores like Guinness is, I have found it at World Market in Tallahassee. I cheered when I came across it, startling a rather conservative looking gentleman in the world beers section! 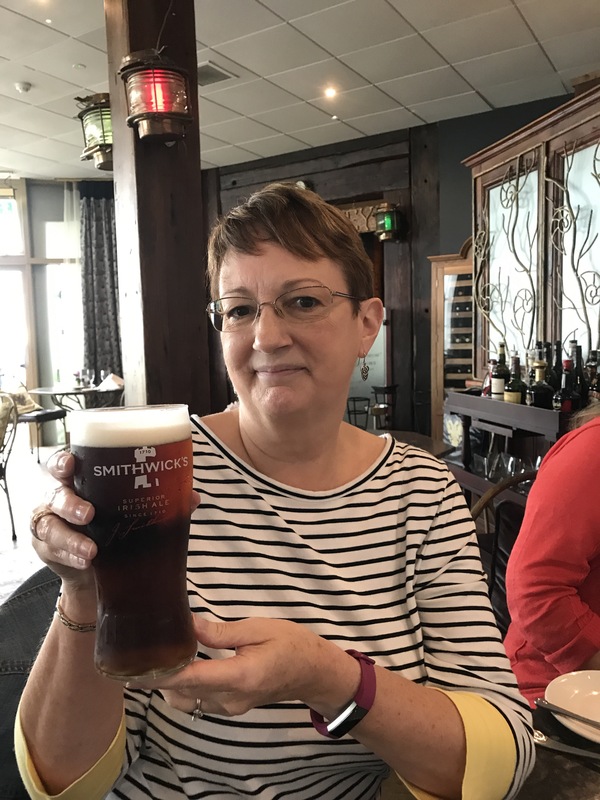 Day four&apos;s featured beer was a Smithwick&apos;s (pronounced "Smittick&apos;s," which confused me for a minute or two). Smithwick&apos;s is another thoroughly enjoyable ale. I believe it&apos;s a match for Guinness, with Murphy&apos;s being my favorite of the dark beers. I have yet to locate Smithwick&apos;s in the states. Perhaps another trip to Ireland is in order? On our last day in Killarney, Studly Doright and I had dinner at the pub in our hotel, and I sampled a Crean&apos;s lager, brewed in Dingle. I enjoyed my Crean&apos;s. It had a clean, crisp taste and paired well with my order of fish and chips. A Black and Tan combo was in order for my sixth day. That&apos;s a half Guinness and half Smithwick&apos;s for all you novices (that was me ten minutes before I ordered one). The Black and Tan combo is in my Guinness glass, while a Smithwick&apos;s drinker let me borrow his glass for demonstration purposes. Superb mixing of flavors in this drink, but unless I can get my hands on Smithwick&apos;s I will have to wait to enjoy it again. On the seventh day I did not rest. Nope, instead I had a White Gypsy beer, brewed in Tipperary. It was pleasant. I liked it even more when I learned that the company uses only malt and hops grown near Tipperary, and their logo might be my favorite. I felt as dainty as a 5&apos;8" tall, 164 lb., pint swilling woman could possibly feel. Day eight brought the only beer I wasn&apos;t crazy about, or maybe I was just tired of beer. Naw, that can&apos;t be it. 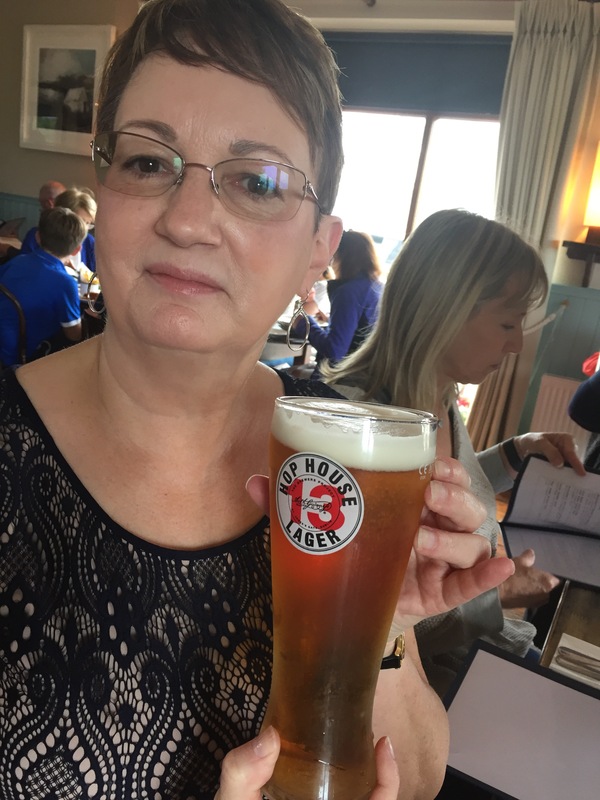 This Hop House 13 Lager just missed the mark. It wasn&apos;t awful, just left me wishing I&apos;d had a Murphy&apos;s! Finally, I made it to the last day of our trip, finishing with an O&apos;Hara&apos;s IPA. We&apos;d stopped for lunch near the Burren&apos;s, that wild, forlorn area dotted with limestone outcroppings and ancient relics. It seemed fitting to hoist a pint in tribute to our adventure. And because I wanted one. So what&apos;s next? I need to find another niche to explore. Scotch in Scotland? Wine in France? Rum in Barbados? Tequila in… nope. Someone else has to taste test tequila. Of course until I replenish the funds in my bank account I&apos;ll most likely be reduced to sampling the burgers in Tallahassee. Peace, and drink responsibly, people! Don’t worry, I’m not drinking double. 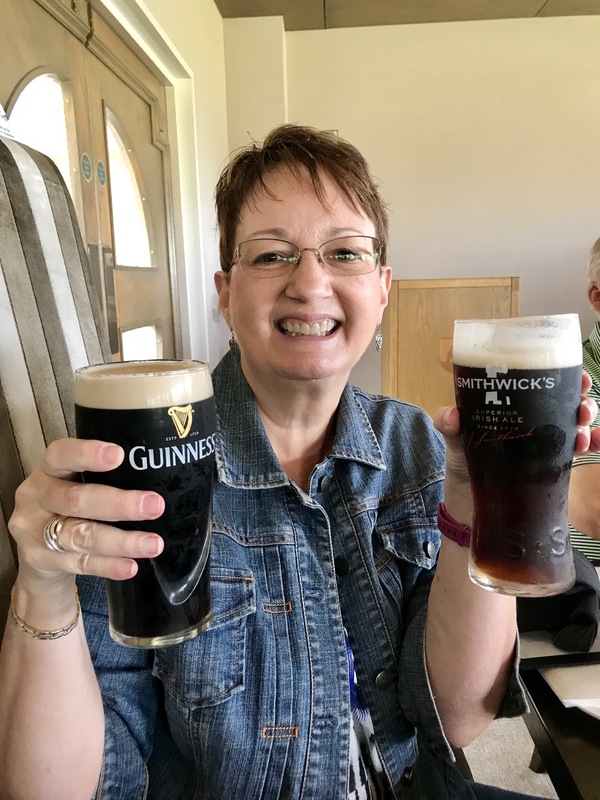 I ordered a Black and Tan (half Smithwick’s, half Guinness) at Ballybunion today, but had to choose between having it in a Smithwick’s glass or a Guinness glass. I chose the former, but a friend ordered the latter, so I borrowed his glass for demonstration purposes only. Okay, maybe I took a sip. I forgot to add a toast to yesterday’s blog, so I’ll try to find a good one. 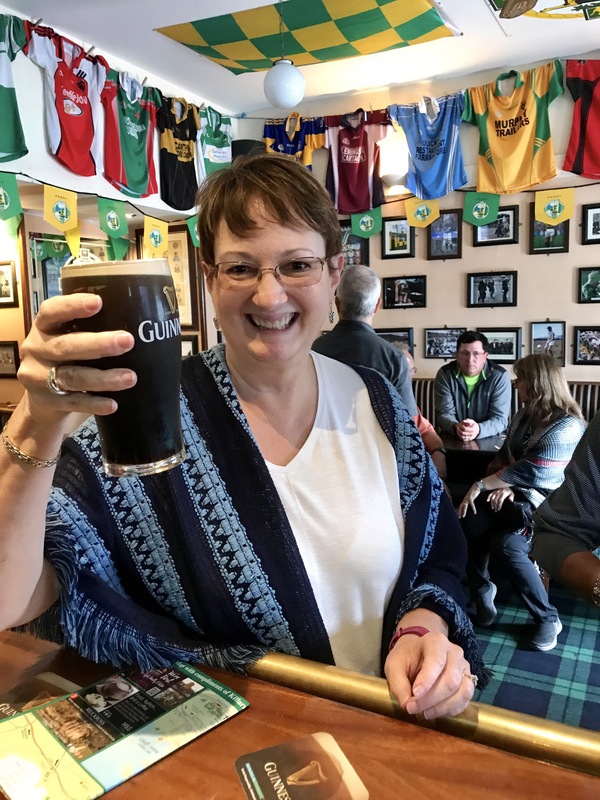 When in Ireland, do as the Irish do! I’m operating on three hours of sleep after a long flight, but managed to down a pint or two of Guinness at a highly recommended pub before our room was ready. Maybe I need to relocate to Ireland. “When we drink, we get drunk.